Welcome to the Quick Tutorial! 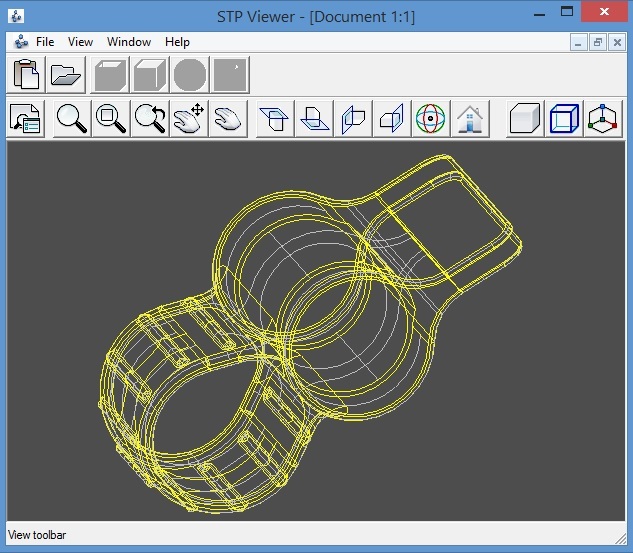 We’ve created our Quick Tutorial to demonstrate key features and functionality of STP Viewer. Please reference the collection below. 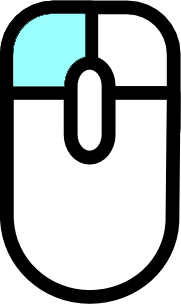 Roll the mouse wheel forward or away from you to zoom in/out the object based on pointer position. + Ctrl: Move mouse to zoom in/out the object. 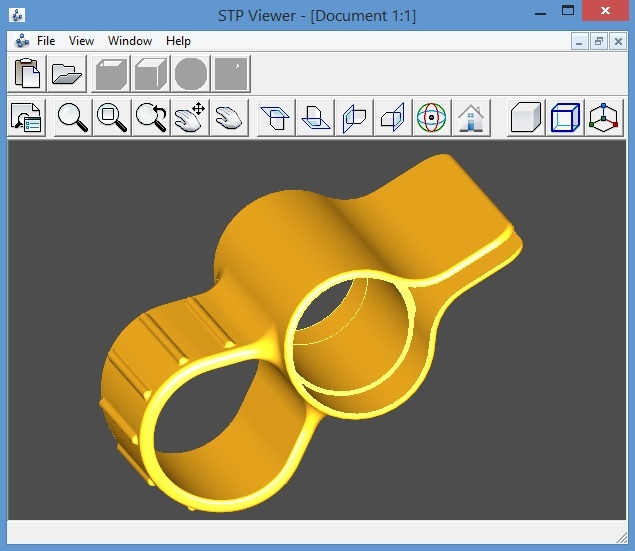 + Ctrl: Object will be rotated with center of rotation in mouse pointer. + Shift: Object will be moved like mouse is moving. 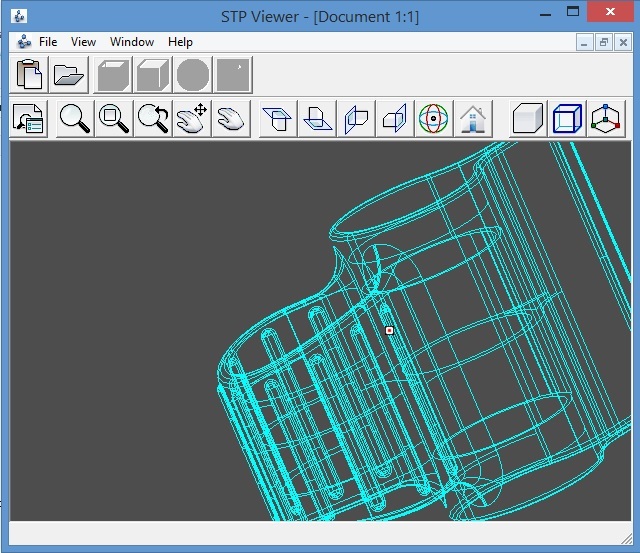 When STP Viewer is opened for first time, only Open option is available in document toolbar. 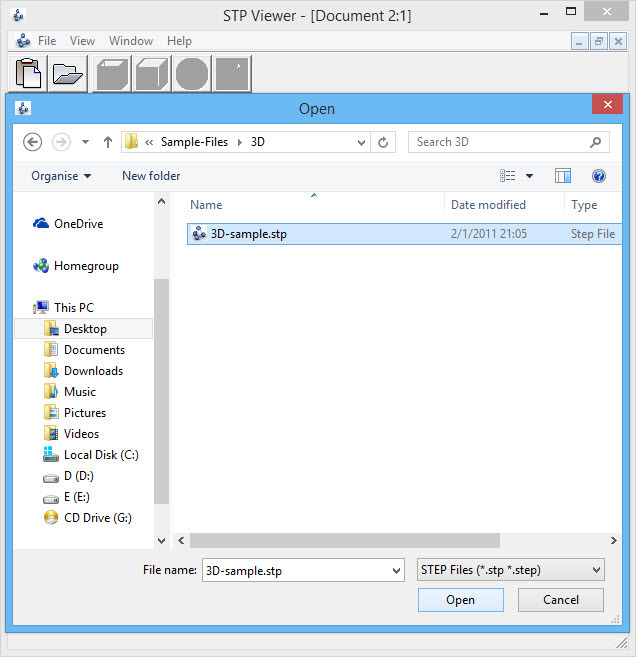 Just click open icon and choose .stp file that you want to open. 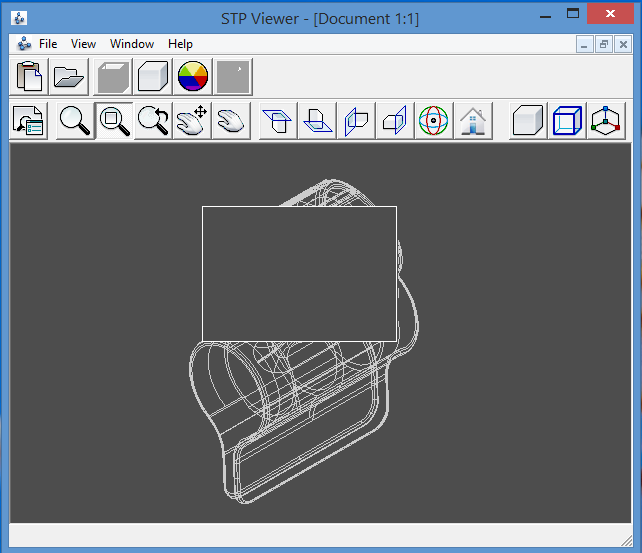 After 3D file is opened, the STP Viewer will look like image on the left side. On the left side of the screen there is tree view where you can select markers. 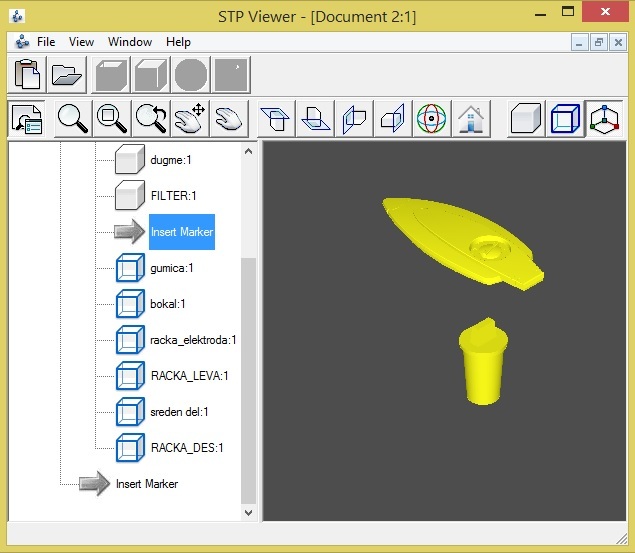 Selected marker will be highlighted on the opened 3D object. Tree View option can be shown or hidden depending of user needs, by clicking on icon. 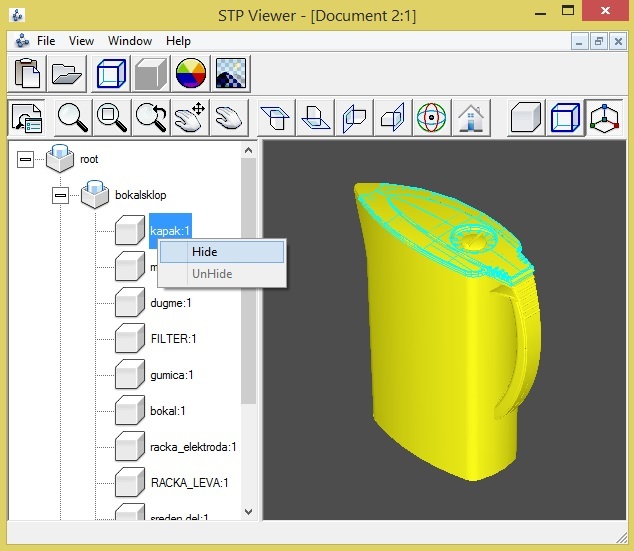 Object can be hidded or shown again by clicking right mouse button on the object and select Hide or Unhide option. Hiding objects can be done by moving marker above object that should be hidden. 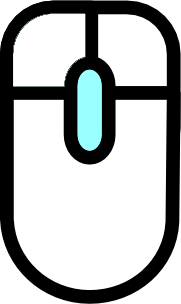 Marker can be moved by clicking marker icon hold down mouse button and move to the desired position. After object is opened, another toolbar is available to use in the program. 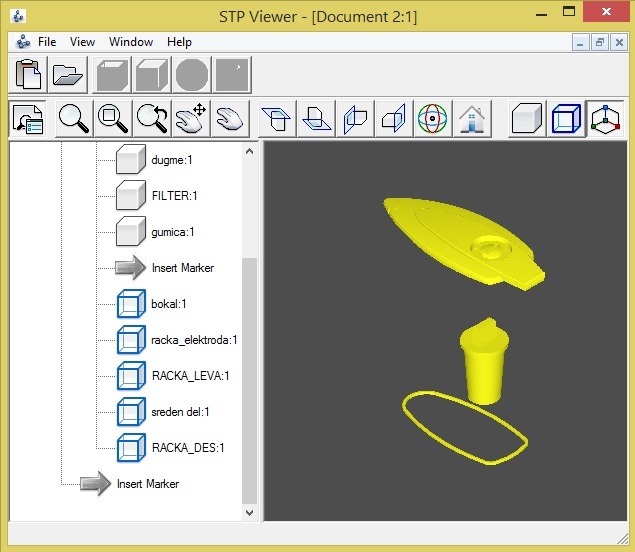 On next images of this tutorial we will hide Tree View option, to get bigger workaround and better visibility of opened 3D object. 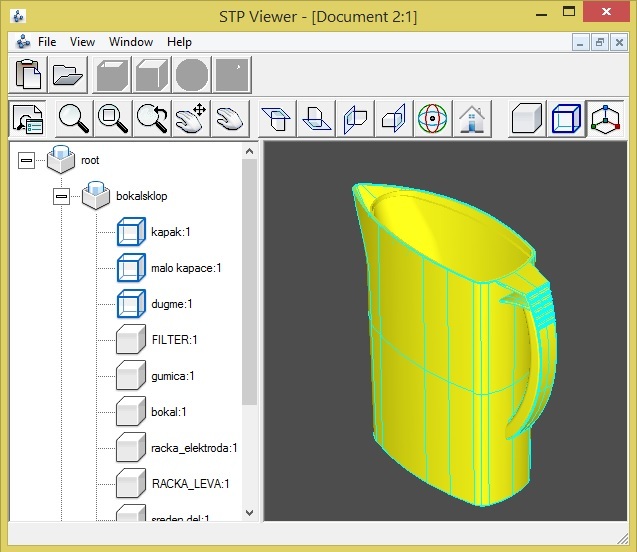 FitAll is option that will show opened 3D object in the middle of the screen and fit on whole screen. Usefull if object is too small or you cant find the position of the opened object. Zoom Window when this button is clicked we select rectangle on the object and that rectangle will be zoomed to screen. 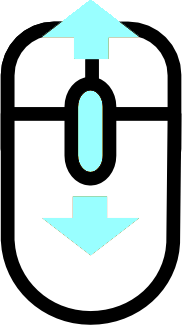 Dynamic zoom this option allows dynamic zooming object while left mouse button stays clicked. Dynamic panning this option allows dynamic panning object while left mouse button stays clicked object is moved like mouse is moving. Global panning this option allows global object panning. 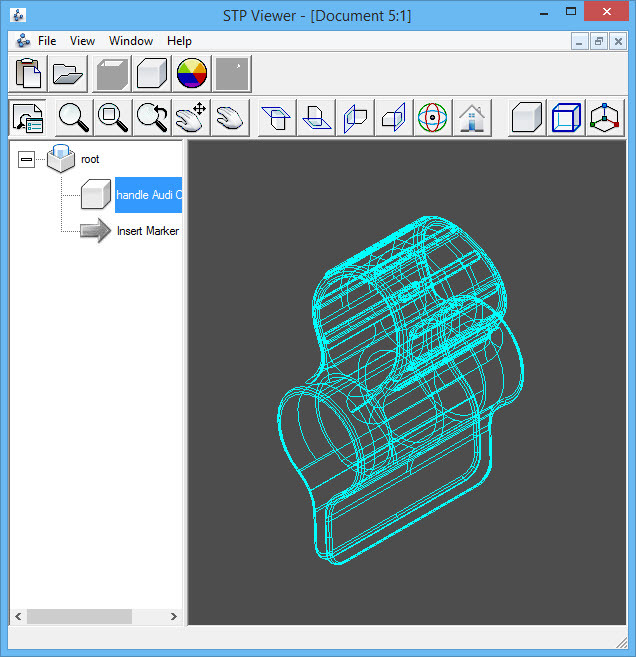 Top - 2D drawing for object frontal view. Bottom - 2D drawing for object bottom view. Left - 2D drawing for object left side view. Right - 2D drawing for object right side view. Dynamic Rotation - by clicking middle mouse button will be added a red dot on a mouse pointer position and that will be center for object rotation. Reset - all previous action applied to object will be reset. Shade - object will be shaded. 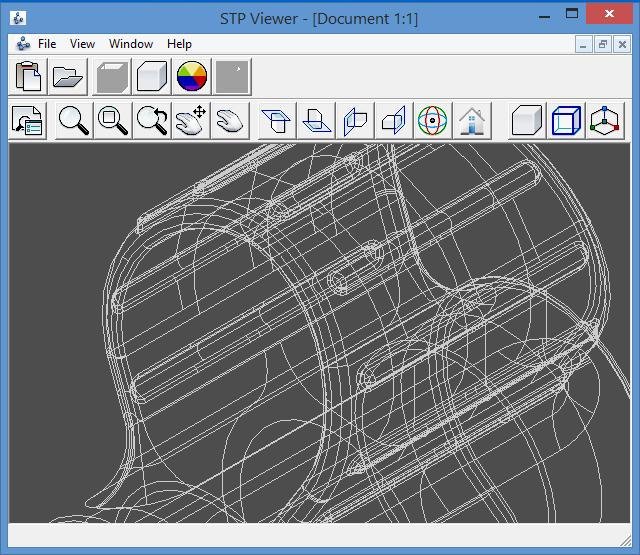 Wireframe - object will be rendered as wireframe. Spin Center On/Off - add or remove spin center. Color - this is option for coloring selected object. 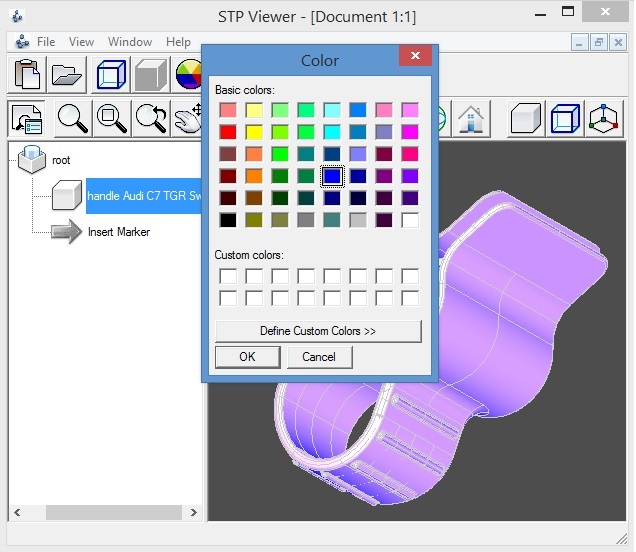 Select object from the tree view, click button than color chooser dialog will popup. After color is selected and Ok button is clicked selected object will be shaded in chosen color.